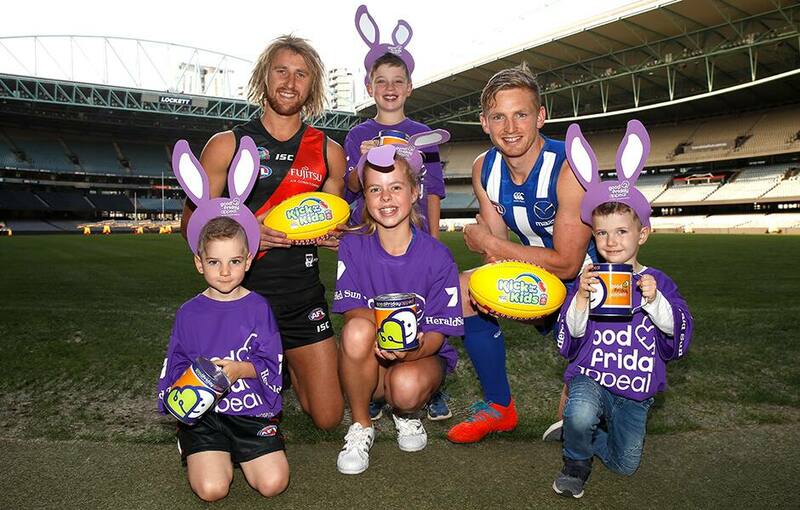 North Melbourne’s Jack Ziebell and Essendon’s Dyson Heppell joined forces with patients from the Royal Children’s Hospital (RCH) at Marvel Stadium to launch the ‘Kick for the Kids’ game. The game will be played in support of the Good Friday Appeal which raises much needed funds for the RCH. North managing director & CEO Carl Dilena said it is a very special day to be involved with. “We are incredibly proud to host such a special game for the third consecutive year. It’s a day that means much more than winning or losing and puts life into perspective,” Dilena said. “This is about helping those who need it most and giving back to the community. Using the power of sport we will help raise awareness and funds for children and their families, who are doing it tough. “We are privileged to be involved with the Royal Children’s Hospital Appeal and recognise the incredible work of the staff and volunteers. The North captain stated the game is a highlight of the year for him and his teammates. “We know we are incredibly lucky to live the lives we have, and we are fortunate to be in the position we are in. The ward visits we undertake each year in the lead up to the game are eye-opening and make you realise that there’s much more to life than football,” Ziebell said. “As players, if we can use our platforms to help raise awareness for the Good Friday Appeal and encourage others to get involved, then it can only be a good thing. In a new initiative, two of the AFL’s greatest ever full-forwards will reignite their rivalry with North champion Wayne Carey and Essendon legend Matthew Lloyd going head-to-head in the ‘Legends’ Kick for the Kids’ activation. A goal-kicking competition will take place at half-time, and for every goal kicked, a set amount will be donated to the Appeal. In its 88th year, the Good Friday Appeal has raised more than $345 million and last year alone, $18,043,251 was raised. North fans are encouraged to donate, no matter how large or small, by clicking here. 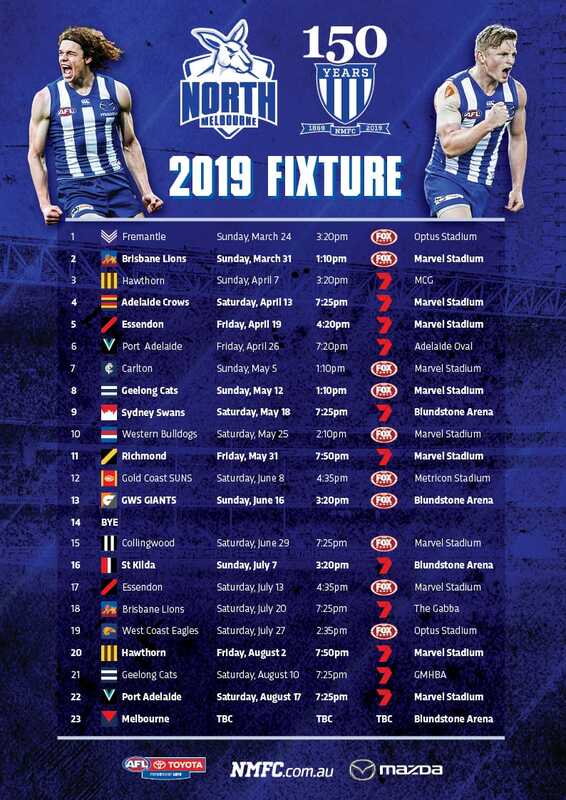 North will take on Essendon at 4.20pm on Friday at Marvel Stadium. Tickets are selling fast, click here to secure yours today and avoid disappointment.